Beggars All: Reformation And Apologetics: Who Has "The Gospel", And What Happens Without It? Who Has "The Gospel", And What Happens Without It? My comment was directed toward Gerry. During the seminar, Gerry repeatedly denied that justification is by faith alone. He made sure to emphasize this. I believe the Bible teaches Justification by faith alone (Romans 3-4). Thus, Gerry denies that which I treasure. At the seminar, Gerry Matatics used the old analogy that if one is suspending a heavy object in the air by a chain, if one link is weak or bad, the entire object will crash to the ground. I feel similarly about Rome’s denial of the heart of the gospel- sola fide. While Rome may say some nice things about the Gospel, it denies the very heart of the Gospel. Thus, the entire Gospel “falls” in official Roman Catholic declaration. If one link in the chain is bad, the entire chain is bad and will not support what it intends to. Right before the seminar, my wife leaned over to me and asked, “Are these people here our brothers and sisters in Christ?” I whispered back, “No…and maybe.” I said this because my opinion is that Rome denies the heart of the Gospel and so therefore does not officially teach the “Gospel.” On the other hand, I don’t deny that there are some Roman Catholics that are my brothers and sisters in Christ- but this is despite Rome’s teaching, not because of it. I know it must seem arrogant and foolish to believe that sola fide is the heart of the Gospel. But I believe the Bible teaches it, and also teaches that finding justification in any other way is a doomed endeavor. I will attempt to present this position with as much respect as I possibly can. I realize this is a harsh opinion to Roman Catholic ears- but this does not mean I “hate” Catholics or dislike them. You won’t find me calling Rome the “Whore of Babylon” or saying that the Pope is the antichrist. Now, Gerry Matatics and I at least seem to agree on one thing: I do believe that doctrine is important- so did Gerry Matatics. I believe doctrine has eternal consequences- so did Gerry Matatics. I think Gerry would likewise say to me, “If you are outside the church you will not be saved” or “you cannot be saved if you believe the heresy of sola fide”. "The Holy Roman Church firmly believes, professes, and preaches that all those who are outside the Catholic Church -- not only pagans but also Jews or heretics and schismatics -- cannot share in eternal life, and will go into the everlasting fire which was prepared for the devil and his angels, unless they are joined to the Church before the end of their lives; [the Holy Roman Church firmly believes, professes, and preaches] that the unity of this ecclesiastical body is of such importance that only those who abide in it do the Church's sacraments contribute to salvation and do fasts, almsgivings and other works of piety and practices of the Christian militia productive of eternal rewards; and [the Holy Roman Church firmly believes, professes, and preaches] that nobody can be saved, no matter how much he has given away in alms and even if he has shed blood in the name of Christ, unless he has persevered in the bosom and unity of the Catholic Church." "Only those are really to be included as members of the Church who have been baptized and profess the true faith and who have not unhappily withdrawn from Body-unity or for grave faults have been excluded by legitimate authority." Now- the times have changed, and Protestants are not normally considered “heretics” by Roman Catholic apologists anymore. We are considered “separated brethren” or something to that effect. Gerry Matatics though would conclude differently. At least Gerry and I can agree truth is vital, and both agree Catholics and Protestants believe in two different Gospels. Both of us believe the other is eternally wrong. During the Reformation period the new Protestants were popularly considered heretics. But since Protestants are supposedly not heretics anymore- I have to wonder why there is a need for most Roman Catholic apologetics. What’s the point? Why do Catholic apologetics? Why spend so much time writing against the Reformation or Protestants? It seems time could be spent better elsewhere. "I am astonished that you are so quickly deserting the one who called you by the grace of Christ and are turning to a different gospel— which is really no gospel at all. Evidently some people are throwing you into confusion and are trying to pervert the gospel of Christ. But even if we or an angel from heaven should preach a gospel other than the one we preached to you, let him be eternally condemned! As we have already said, so now I say again: If anybody is preaching to you a gospel other than what you accepted, let him be eternally condemned!" I've asked- Isn't Justification by faith alone considered "another gospel" to a Roman Catholic? Why not condemn me a heretic? The answer:The only way I could be deemed a heretic was if I knew the Roman Catholic Church was the true church- and still I denied her truth. But since I remain convinced the Roman Catholic Church does not teach the truth and is a false church, i'm not a heretic, but rather, seperated brethren- due to my ignorance- even though I adhere to faith alone, and believe that it is the Gospel- and I condemn as anathema any system that would deny it. Canon 9- "If Anyone says that the sinner is justified by faith alone, meaning that nothing else is required to cooperate in order to obtain the grace of justification, and that it is not in any way necessary that he be prepared and disposed by the action of his own will, let him be anathema." "The doctrine of justification by faith alone was considered by Luther and his followers as an incontrovertible dogma, as the foundation rock of the Reformation, as an "article by which the Church must stand or fall" (articulus stantis et cadentis ecclesia), and which of itself would have been a sufficient cause for beginning the Reformation, as the Smalkaldic Articles emphatically declare. 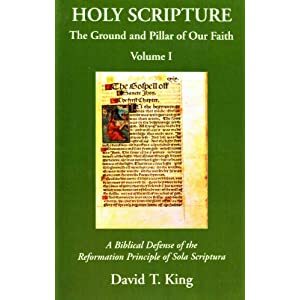 Thus we need not wonder when later on we see Lutheran theologians declaring that the Sola-Fides doctrine, as the principium materiale of Protestantism, deserves to be placed side by side with the doctrine of Sola-Scriptura ("Bible alone", with the exclusion of Tradition) as its principium formale -- two maxims in which the contrast between Protestant and Catholic teaching reaches its highest point. Since, however, neither maxim can be found in the Bible, every Catholic is forced to conclude that Protestantism from its very beginning and foundation is based on self-deception." good post. I am an RC convert, albeit I hold on dearly to "faith alone". We could probably have some nice discussion on what faith alone is, but you would be surprised how many of my RC friends DO get it, and of course how many DONT get it. your point on the position of separted brethren is one point I totally agree with.....its almost like why bother arguing with Protestants, and in fact it might be easier to be a "ignorant or naive" protestant than an informed Catholic. Doesnt make alot of sense....once again, thanks for your insightful comments. "Now- the times have changed, and Protestants are not normally considered “heretics” by Roman Catholic apologists anymore. We are considered “separated brethren” or something to that effect." The difference is this. During the reformation, ther were mostly Catholics. Luther was a Catholic and so on. Now, a person who denies the Catholic faith, if he is a Christian, a Catholic, is a heretic. A person who believes that the true Church is the Catholic Church but denies dogmas are heretics. Now, a person becomes a Christian, becomes part of the Church when he is baptized. That has been a doctrine ever since. Now, a heretic is someone who is somehow united to the Church (because of his baptism) but is not in full communion (J. Maritain's book on the Church has a neat explanation of this). Schismatics or heretics are usually called the wounded members of the Church. Why do we call Protestants seperated brothers? Because they are baptized and hence, in Christ in some way. Are they heretics? Materially, yes. Formally, I don't know--it depends on the person. With regards to the heart of the Gospel. The heart of the Gospel is not sola fide nor is it the Catholic doctrine on justification. The heart of the Gospel is a Person, Jesus Christ--the life, death, and resurrection of Jesus Christ. I believe in the importance of dogmas and doctrines, but they only point to Jesus Christ who is the center of history and the universe. This is what Catholics have been saying for many years (Guardini is a great example). And Barth is a great proponent of this when it comes to Protestantism. So the heart of the Gospel is not sola fide, that is, faith alone. It is not man-centered, that is, speaking of what justifies man (his faith), but Jesus Christ Himself. God has already reconciled Himself to the entire world through the Incarnation, perfect life, suffering, death, and resurrection of His Only Begotten Son, Jesus the Christ(2Cor 5:18-21). Through the foolishness of the message of the Gospel God has given to men the "ministry of reconciliation" to announce this GOOD NEWS: that all our sins are already forgiven due to the atonement of Christ on our behalf. Those who believe this Gospel automatically receive it's benefits: the forgiveness of sins and the peace and assurance of salvation already accomplished. John 3:16. By FAITH men are able to receive this gift of God(Ephesians 2:8-10). Faith is the vehicle by which the Finished Work of Christ is apprehended. This Gospel is itself the power of God for salvation to everyone who believes(Romans 1:16). Belief in the historical fact that Jesus Christ lived, died, and rose from the dead is of no benefit to a person. On the other hand, FAITH that God became man, lived a perfect life of obedience under the Law in my place, suffered for my transgressions, was crucified for my sins, died, and rose from the dead as proof of my Justification, that reconciles me to God. I am saved, having received the promise of the forgiveness of sins and the gift of the Holy Spirit through FAITH alone(Acts 2:38ff; Eph 2:8). All the benefits of the atonement of Christ are apprehended by a person through FAITH alone, which comes through the Word of God: Christ died for MY sins and hence I receive the Robe of Righteousness through FAITH. Romans 10:17. Therefore, FAITH alone saves a man because Justification happens only through the Word, and the Word is only understood by faith: it follows that faith justifies. This Justifying FAITH is a gift from God(Ephesians 2:8) which can always be rejected by sinful men, but can never be merited. It is strictly a gift unmerited, unasked for, and undeserved - the definition of GRACE. Outside the Catholic Church there is no salvation. To have eternal salvation, one must hold to the Catholic faith. Rome doesn't know what the Catholic Church or the Catholic faith is. It is not that church in fellowship with and that faith confessed solely by the Bishop of Rome. It is the church established by Christ and the faith that trusts Him for eternal salvation. There are many in the Papistic fellowship who ARE Catholic and DO hold to the faith. However, they do not exhaust the definition of Catholic. I am, as I like to say, an Evangelical Lutheran Orthodox Roman Catholic. I will not surrender the terms or the capital letters. You stated: "I am, as I like to say, an Evangelical Lutheran Orthodox Roman Catholic." This statement appears contradictory. The label "Lutheran" was initially used as an insult to those people in Germany who stood with Martin Luther's teaching on Justification By Grace through Faith alone. The term was eventually embraced as an approriate designation which served to distinguish such believers from the papists and all others with different belief systems. Thus, your use of the term "Lutheran" in the same sentence with "Roman Catholic" appears contradictory, since the Roman Catholic denomination still denies salvation by Grace through Faith alone. If you omitted the word "Roman" in your sentence, this would be a correct rendition.That is how the 16th century Reformers always considered themselves and so do Lutherans today. They are Evangelical Catholic. Nothing new, but a continuation of that ancient faith throughout the centuries focused on the Finished Work of Christ for the salvation of the world. The Roman Catholic denomination would have one believe that they have a monopoly on the word "catholic",but this is simply not true. "Roman Catholic" is simply a shortcut phrase to summarize all those who adhere to the teachings and practices of the RCC as outlined in their Catechism. Of course, to adhere to this Catechism means to believe in the institution of the papacy and a plethora of inconsistent and false teachings contained in the Catechism of the Roman Catholic Church. One such contradiction has to do with salvation. The Athanasian Creed defines the catholic faith as worshipping one God in Trinity, and Trinity in Unity, and that the Father, Son, and Holy Spirit are each God. This Athanasian Creed concludes by stating that this catholic faith is essential for salvation. It is the Roman Catholic Church that would like one to believe that you must be affiliated with this particular denomination for salvation, which is absolutely false. The Scriptures are clear that through faith in the atonement of Jesus Christ for his sins, a man is saved. On the other hand, the RCC in their catechism, states that any person can be saved without such faith(paragraph 847)! This is a direct contradiction. The Roman church has many contradictions for which it cannot resolve and yet continue to confuse their laity by foisting these false beliefs upon them. Are you sure that you are a "Roman" catholic? Many Protestants are similarly confused over word meanings. For example, there are several Protestant denominations which believe that whenever they read the word "Israel" in the bible, this always refers to the ethnic nation of Israel in the Middle East. Such people go so far as to unquestioningly support the worldly nation of Israel and apply pressure upon the US Government to always do so, believing that the bible has specific promises for those who are good to "Israel". However, the bible has another meaning of the term "Israel", referring to all those with FAITH in Messiah/Christ. This is the Holy Christian Church on earth,not any ethnic group of people. Hence, one reads such alarming verses such as Romans 9:6 which states that "they are not all Israel who are descended from Israel" and Philippians 3:3 "we are the true circumcision" and Romans 2:28 "for he is a Jew whose circumcision is of the heart, not the flesh". Hence, how one reads the bible makes a big difference. Check out todays program at Issues, Etc. I haven't heard it yet. The progam is entitled ""The Journey Home Interview with a Catholic Convert from Lutheranism" and I wonder if this is what we were chatting about the other day. My apologies for not yet responding to Mr. Latar and Steve Dillard. I'm a little busy with non-internet related business. I have some free time on thursday and friday night, and I will be evaluating their comments. Thanks to Frank for his insightful comments, and to John Mark for the link. 2. The journey from Protestant Evangelicalism to Roman Catholicism is theologically short. Both emphasize Decision Theology, a heresy. 3. This RC convert was actually never a Lutheran, but rather was a hypocrite by attending Lutheran seminary classes and taking the oath of office as a Lutheran pastor while not actually believing what he was confessing with his mouth. He was lying to God. 4. This RC convert was heavily influenced by his experiences, not the Word of God. He could just as likely converted to any cult and made similar statements as to his reasons for doing so. 5. This RC convert was impressed with 1Timothy 3:15, which references the “household of God”,”the church of the living God”. This impressed this convert because he was comforted that God had left him a church to assist him in his lifelong journey of faith and it wasn’t just “Jesus and me”. The problem with this thinking is that Non-Denominational Christianity may emphasize “Jesus and you”, but Lutheranism heavily emphasizes the fact that Christ has left us His Word and the Sacraments, which are administered by the Christian Church on earth. This RC convert couldnot have actually been a Lutheran in his Faith, but only one in the label he attached to himself. 6. The Church is wherever the Word is proclaimed in both Law and Gospel,and the Sacraments rightly administered according to God’s Word. The marks of the true Church are there if one wishes to see them. Fundamentalists make similar errors as do Roman Catholics by believing that Jesus Christ is real and true because the bible says so. Roman Catholics say they know Jesus Christ because the RCC proclaims Him. The truth is that we know the bible is true because Jesus Christ said it was in His Word. The Roman church concentrates on the Bride, not the Bridegroom. 7. This RC convert could not have been familiar with the Lutheran Confessions. He was an ELCA minister, which is certainly a far cry from more conservative Lutheran bodies, such as the LCMS. This RC convert could not have read and thought through the Lutheran Confessions. His interview illustrated a shallowness of correct understanding of Justification by Grace through Faith alone. The Church proclaims Christ, not the other way around as Roman Catholics do. The RC Council of Trent specifically denied salvation by Grace through Faith, condemning anyone who does. This has never been reversed by the Roman Catholic Church, as their catechism makes clear. The RCC is similar to many other sects which cannot properly distinguish between Law and Gospel, and consequently are hopelessly confused when it comes to the power and simplicity of the Gospel. Frank, the reason I call myself a Evangelical Lutheran Orthodox Roman Catholic is because I truly believe that all those words properly belong to Lutheranism. The Papists are not Roman nor are they Catholic. They have departed from both. I am unwilling to surrender to Rome, to modern Evangelicalism, or to Orthodoxy those words which I believe rightly belong to Lutheranism. I'm always amused by modern protestants that think that Luther just wanted to reform the Church that had allowed error to "seep in over time" A few minutes on the internet should disabuse anyone of that idea. For one example out of many, point your browser to ethiopianorthodox.org and look at their teachings. Go to the page on the Seven Sacraments for example. The writing there could just as easily be from the modern RC catechism. C'mon, protestants, are we really supposed to believe that the RC church and Ethiopian Church which broke off communion some 1100 years before Luther was even born somehow just coincidentally came up with the exact same doctrine? If you believe that, i got some ocean front.... well you know the rest. You are not the first heretic to want to keep the name Catholic without any success in doing so. Listen to Saint Augustine from his letter against Mani, "...And last, the very name Catholic, which, not without reason, belongs to this Church alone, in the face of so many heretics, so much so that, although all heretics want to be called 'Catholic,' when a stranger inquires where the Catholic Church meets, none of the heretics would dare to point out his own basilica or house"
It is still the same today. If you were to ask the average joe on the street where the Catholic Church is, where would he direct you? God has the best sense of humor. Although I believe that tradition can provide valuable insight in understanding Scripture, "anonymous" symbolizes to me what I believe is wrong with Rome today. Appealing to fallible men and how they determine catholicity is a jigsaw puzzle with a lot of missing pieces and some irregularities. I say this assuming that Augustine did indeed state that the seven sacraments are the marks of the church, but I don't ever remember reading anything which supports this position. Neither do I remember reading that he represented orthodoxy or that he believed his teachings to be infallible. Instead, one would do well to allow Scripture to determine orthodoxy. This I believe would be Augustine's position. Chaz - I have read your posts explaining why you like to refer to yourself as "Evangelical Lutheran Orthodox Roman Catholic". In the spirit of effective communication in our modern society, is this the best way to abbreviate what you believe to the average person on the street? The answer from history to this question is NO! That is the reason followers of Luther's doctrine of salvation by Grace through Faith ALONE referred to themselves as "Lutherans". I continue to refer to myself by that name and merely point to the Book of Concord for a more accurate and complete definition. Anonymous - apparently you have done some study and determined that there was an Ethiopian church which had apparently independently arrived at the same identical doctrines as the Roman church had embraced? And this is proof in your mind that Rome has been correct all along? What about all the unity? Did this Ethiopian church recognize the headship of the papacy? What about the Orthodox Church?They were never united with Rome either? The fact that similar heresies and false beliefs were embraced by other peoples does not substantiate the validity of Rome. This is illogical thinking: you do not justify wrong behavior by pointing to other wrong behavior. Instead, you go to the only infallible source - the Word of God. To add to Frank's comments (this is getting to be a long comment section!) the Ethiopian Orthodox Church is not a Christian church, as they adhere to Christological errors. I think the one where they say Jesus had a single nature, as opposed to the dual nature. Not to mention a LOT of other weird stuff with them, such as claiming to have the Ark of the Covenant at their Cathedral. So I'd say they aren't a good example of valid churches sharing Roman doctrine. The point of my occasional use of it is to point out the very fact that the anonymous commentator denies: All the words belong to Lutheranism and can be properly used by us and in the strict sense, only us. I usually call myself a Lutheran and consider that the most clear approach. But when people say that we can't call ourselves one of those other things, I take an approach very consistent with Article X of the Formula of Concord. I use the word forcefully. It's mine. They just have to deal with that. The Papist church departed from the true catholic faith (at the very latest) at the Council of Trent. Ethiopia did so perhaps a lot earlier (after the Council of Chalcedon). Though I'm not quite so quick to condemn monophysitism because I think it sometimes boils down to logomachy. Some monophysites mean the same thing when they confess Christ as diphysites do... not universal, of course, but Cyril, an faithful bishop of the church, often sounds a lot more like a monophysite than he does like Leo the Great. The words are mine and I won't be giving them up. But I don't use them routinely. To say I like to call myself an Evangelical Lutheran Orthodox Roman Catholic is not to say that I do it all or even most of the time. This is about the Sum of our Doctrine, in which, as can be seen, there is nothing that varies from the Scriptures, or from the Church Catholic, or from the Church of Rome as known from its writers. This being the case, they judge harshly who insist that our teachers be regarded as heretics. We have not departed from the Church of Rome as known from its writers. The church that HAS done this is the "Roman Catholic" church which has in its public confession elevated one man above Christ (the bishop of Rome) and has claimed it has by divine right what it has only by human right. Additionally, the liturgy followed by Lutherans is the Liturgy of Saint Gregory the Great, first established in Rome and still (in its strange post-Vatican II form) used there. We are Roman, therefore, in teaching and in worship. I refuse to surrender this term to the church that normally is associated with it." My reaction is that anyone is free to describe himself anyway he wishes-this is a free country. However, in the spirit of communication the word “Roman” communicates the See of St Peter, the papacy, to everyone except yourself! Regarding the history of the liturgy, my studies show that it is derived from Holy Scripture. The fact that congregations in Rome or Constantinople adopted similar biblical services has very little meaning to me. Perhaps earlier groups meeting in homes in Jerusalem or throughout ancient Israel utilized similar liturgies? Shouldn’t we instead use the name of those cities instead of “Johnny-come-latelies” like Rome or Constantinople? Whenever I read the Book of Concord, the word “Rome” is usually shorthand for the papacy and all the heresies and false teachings which spawned the Reformation. Therefore, do you really think it wise to incorporate this word in describing what you believe? Here is a suggestion: most theological writings I come across use shorthand descriptions for theological positions, like "Wittenberg" for Lutheranism, "Geneva" for Calvinism, etc... Why not use "Wittenberg" instead of Rome? Or does it matter which was the ealiest terminology used? In that case perhaps "Jerusalem"? I was tempted to let your comments on this go by the wayside, but I had thoughts that might stimulate discussion. Obviously the Ethiopian Church rejected the Apostolic teaching on the nature of Christ after Chalcedon. My point is that even after becoming heretical on the nature of Christ, they maintained, as is obvious from a simple perusal of thier website, the Apostolic teaching on the propitiary mass, the other sacraments, justification by faith and works, scripture and tradition, etc. It is really simple. You either have to believe that the copts, armenians, ethiopians, greeks, etc. all just happened to develop the same wrong doctrines or you make the obvious choice that Luther came up with a completely new heretical religion some 1500 years after Christ died. I can't see how anybody with a brain could pick the former but then again I haven't met too many protestants who are strong in the brain department. I am being nice in responding to your post, even though you seem to be insulting to others who may not share your point-of-view. In the spirit of communication, although most Protestant denominations arenot liturgical nor Sacramental, Lutheranism definately is. Lutherans do not fit the Protestant mold nor the Roman Catholic mold. Luther and the 16th century Reformers all considered themselves catholic in the historic sense of that word. Only those practices and beliefs that the ancient church had incorporated into their doctrines that were contradictory to Holy Scripture were eliminated. All other practices and beliefs were retained. Hence, liturgical Divine Services were retained, along with the Sacraments instituted by Christ: Holy Baptism and the Lord's Supper. The centerpiece of all Divine Services has continued to be the Word of God, preached in the full severity of the Law and the sweetness of the Gospel. I have referenced many treatises explaining how many Church Fathers were quoted in the Lutheran Confessions. However, since only Holy Scripture is inspired by God and is infallible, Church practices and beliefs do not rely on mortal men, as was the mistake that the early Church had made as it developed over the centuries. Luther merely wished to purge beliefs that were in direct contradiction to God's Word. Nothing more, nothing less. There was no "new" Church being created, but merely a reform of the ancient, apostolic Church. The fact that the pope excommunicated Luther and attempted to murder him left Luther and fellow believers little option other than to worship separately from Rome.You really should read the Lutheran Confessions and think about them. Then you would be in a better position of understanding why the Refofrmation began and continues to this very day. We got our liturgy from Rome. Plain and simple. Those portions that had been added post-Gregory that were contrary to the Scriptures were removed, but in essence, we still use the Roman liturgy. I'm sorry if you don't like that, but it IS the truth. But though the liturgy reflects what Scripture teaches, it didn't just start floating above our bibles one day. It has a history, and that history is Roman. In regards to "anonymous", It seems it suffices him to look at the things which are harmonious between the East and the West, the basic four sacraments which we can only assume are more or less common with Rome. Yet, for all of their shared history, "anonymous" seems to ignore the differences between the ancient churches. The East has never held to an infallible papacy complete with the universal jurisdiction it claims. They've never held to purgatory, the Immaculate Conception, and what about the issues with the filioque? The Church Fathers weren't uniform with each other on every doctrine as well and, even some of the earliest, such as Irenaeus--who is claimed to have been a disciple of Polycarp, who was a disciple of John the Evangelist--well, he taught that Jesus was crucified a middle-aged man. And his view of the Eucharist almost reflects the Lutheran view of consubstantiation. Again, this is a man who lived in the 2nd century who is once removed from an actual Apostle. Should we believe that John, who knelt before the crucified Christ, taught Polycarp, who then taught Irenaeus that Jesus was a middle-aged man? If Irenaeus was indeed teaching consubstantiation, judging by his proximity to John, would Roman Catholics be willing to say that this teaching may be Apostolically viable? Not to split hairs, but the Lutheran view of the Lord's Supper is not consubstantiation. Rather, it is that the Lord's body and blood are present and so are the bread and wine. Consubstantiation is an Aristotelian description of how that might take place. It is NOT a teaching of Lutheranism. Lutheran theology confesses what the Scriptures say and cares not one whit about how it takes place. We rejoice in the promise and that is that. Good to know. Guilty as charged. I guess it was dumb habit of mine, but I didn't realize I was pigeon-holing a matter of faith. You make perfect sense. Out of curiosity, I know Frank is LCMS, are you in the same synod, Chaz? Yes, Ray. I'm in the LCMS. I will be beginning my fourth year of seminary study in September and God willing will receive a call into the Holy Ministry in April. I am now in the last days of my vicarage (pastoral internship). Monday is the last day. "But though the liturgy reflects what Scripture teaches, it didn't just start floating above our bibles one day. It has a history, and that history is Roman." I beg to differ with you.Although I was born and raised Roman Catholic, my study of church history has shown me that the start of the Roman Catholic Church was after the Council of Trent, which was a response to the Lutheran Confessions. Technically, the RCC began when their confessions defining itself were constructed, which was after the Reformation and a response to it. You see, up until the Council of Trent there really was only an evolving mismash of good doctrine based on Scripture, in conjunction with myths, legends, and the teachings of fallible men. I refer to this as the early and later medieval church. The RCC did not officially exist until Trent after the Council of Trent. Contributors to the early church included the early Church Fathers, a variety of "good" and "evil" popes, theologians such as Aquinas, pietistic men such as my patron saint Francis, and other men of various strengths and weaknesses. You may try to summarize the evolution of the liturgy by saying it comes from "Rome", but actually it originates in the Word of God and was practiced in the early Church both during and immediately after the apostolic period. Of course the liturgy matured over the centuries, but this happened in the true Church of Christ, the Christian Church, the true Israel, NOT in the church of Rome. Just as Paul says in Romans 9:6 that not all are Israel who are descended from Israel, similarly not all is the true Church of Jesus Christ which was associated with the evolution of the papistic religion that eventually became known as the RCC. God has always been interested in the hearts of men, not their external affiliations and works. " The liturgy was obtained through the Holy Scriptures. It was not a gift from the Roman Catholic Church,but from God, The structure or order in service can be seen in Scripture if one is looking for it. The early Church was continuing in the breaking of bread and the psalms and prayers. The pattern was actually received from the Old Testament. Justin Martyr(130AD) was not a Roman Catholic, since such an entity never existed prior to Trent. Justin Martyr is quoted as referencing what we call liturgy:On the Lord's Day people assembled for worship. The writings of the prophets and apostles were read. Encouragement of the brethren was exchanged. Bread and wine along with a form of prayer was used,which Lutherans refer to as the Institution. People were sent forth with God's blessings to be a blessing to others. This described the essential liturgy we have today. This was not from "Rome" but from God via His Word. In Acts 2:38 we see a refernce to similar events, after baptism the hearing of the apostless'teachings, fellowship(koinonia), the breaking of bread, and prayers. This same pattern is throughout the New Testament: Word is preached(Apostles' teaching) + Lord's Supper(fellowship) + The Prayers(which were usually from the Old Testament Psalter(Acts 2:42; 3:1)). The early church(1st and 2nd centuries) removed a potluck dinner and substituted the Lord's Supper. During the second century the Eucharist was celebrated daily, which illustrates a far cry from modern day Protestanism which denies the Body and Bloodof Christ, His True Presence. At any rate, as in many other areas of the Christian faith, the Roman Catholic Church would like one to believe that all our great traditions and practices, including the liturgy,derived from Rome. But this is not the facts of history. You have an interesting perspective on church history, but I'm not sure that it reflects the view of the Lutheran Confessions. Are there specific things I wrote that you believe are contradictory to the Lutheran Confessions? Although the Book of Concord is a correct summary of biblical truths with respect to salvation, these Confessions do not pretend to be an exhaustive treatise on Church history and various other topics. On the other hand, what I wrote is consistent with my Lutheran fathers in the faith. If you were to read treatises by Chemnitz, such as his "Examination of the Council of Trent", or look into Johann Gerhard's writings,which deal with church history, you would see that what I have written is similar to documented beliefs of the Reformers. I am puzzled at your insistence that everything I wrote be found in the Book of Concord. Why? One does not have to be a Lutheran in order to study history and to be able to summarize historical events and facts. Are you unsure of my claim that the Roman Catholic Church never officially existed prior to the Council of Trent? That has been the general understanding of theologians for centuries. Pick up an early Small Catechism and you will clearly see this viewpoint expressed. It is logical and historical. A particular church body is no older than her distinctive confessions. The Lutheran Church adopted the Augsburg Confession in 1530, while the Canons and Decrees of the Council of Trent, which are the confessions of the Roman Catholic Church, were not completed until 1563. The ecumenical creeds(Apostles, Nicene, Athanasian) are accepted by both sects and prove nothing with respect to the age of each belief system. How can a denomination exist that isn't even defined? The visible church on earth had evolved over 1500 years prior to the Reformation. Along the way,this church had matured in both good and bad ways. The Reformation was merely an attempt to purge the evil which had entered the church. The Reformers stressed the absolute need for a Christocentric faith, not a man-centered theology of glory. False beliefs had entered the church due to Aristotelian philosophy and elevating human logic and reason over the Word of God. In an earlier post you personally referred to such a problem in your explanation of the Lord's Supper. A plethora of biblical contradictions and heresies had crept into the church over the centuries. The Scriptures,although logical in one sense, are often the opposite of commonsense and apparently contradictory, with many paradoxes. Consequently, it was a natural tendency of human beings to fail to properly distinguish between Law and Gospel in Holy Writ. It was natural to not see the biblical distinctions between "good works" and "fruits of the Holy Spirit". It was natural to emphasize certain Scripture,while ignoring other Scripture, thereby violating the rule of faith by not allowing Scripture to interpret Scripture, and creating a human "magesterium" centered in the papacy as interpreter. The papacy is one of the distinguishing marks of what we refer to as the Roman Catholic Church, and yet this institution itself had evolved. This institution did not officially commence in apostolic times, but much later in church history, primarily a result of the collapse of the Roman Empire and mixing Church and State so as the make the papacy both a theological as well as political office. I think you misunderstood me. I did not intend my previous post to be a qualitative judgment against your perspective on church history. Rather, I was making an observation that it seems to me that what you are saying about church history comes from a different perspective than that of the confessions. Do you have to view history the same way the confessions do? No. You don't. They are not an exhaustive treatise on everything. What puzzles me about your approach to church history is that it seems to say that there was no real body of Christian teaching before the Book of Concord and the Council of Trent. I think that would have been very surprising to Luther and all the Western Catholics before him. I think it would have been very surprising also for the Western and Eastern Catholics in 1054 who divided from one another on differences of public confession, namely that of the 7th (I repeat SEVENTH) Ecumenical Council. These councils made public confessions all the way from Nicaea I to Nicaea II... seven councils worth of them. You note that these were not distinctive. Well, how about the liturgy in Luther's day. Was it not a confession of the faith? If it were not, there would have been absolutely no need for Luther to reform it. I believe that the Confessions speak of an erring Roman Catholic Church that existed prior to the Reformation. They call that same church to repentance. When that body officially refuses to do so, they leave the Church Catholic. Lutheranism is the Church Catholic which they left, from which they divided. I think our disagreement is primarily on the point that an official erring body of teaching came into existence. Or maybe our misunderstanding of one another is more fundamental than that. I'm not sure. I don't posit that only Lutherans can do church history, but I do try to approach church history in the same way that the Confessions do. Perhaps we disagree on what that approach is. I appreciate, Frank, that you seem very committed to historic Lutheranism as it is confessed in the Book of Concord and among the later reformers. That is a wonderful thing! I guess maybe a point where we differ a bit may be in that I believe that Lutheranism predates the birth of Luther. In fact, one of my favorite _Lutheran_ Fathers is Saint Leo the Great. Interestingly, the Book of Concord never uses the terms "Lutheran" and "Protestant" - though certainly those words were extant between 1530 and 1580. I don't believe this to be an accidental oversight, but rather a deliberate assertion of ecclesiology. However, the Book of Concord repeatedly uses the word "Catholic" to describe the faith to which we cling and as an adjective to describe the Church. Obviously, labels have evolved over time - and "Lutheran" - which was originally placed on the reform-minded Catholics by their detractors - stuck and became a label the "Lutherans" eventually accepted. Much like "Yankee" (a term of derision) becoming a label of pride to 18th century Americans and "rebel" (similarly a slur) being embraced by 19th century Americans. Luther himself pleaded in vain for those who confess the Augsburg confession not to call themselves "Lutheran." For good or bad, the toothpaste is out of the tube on that one. However, we can, as Chaz has done, reclaim the terms of our confessional heritage, especially the word "Catholic." And it's really not all that outragious. Most Christians, from Anglicans to Presbyterians and Methodists use the word "Catholic" when citing the creeds. Even the Roman Catholic Church no longer considers Lutherans and other Nicene Christians who are outside of the pope's authority to be heretics. In fact, those Roman Catholics who would claim we Lutherans are heretics are acting ironically in rebellion against the Vatican conciliar and papal authority. We are now considered "separated brethren." Our baptisms are recognized, and interestingly, the Roman theologians of the Catholic-Lutheran dialogues (which included the late Blessed Rev. A.C. Piepkorn) who were discussing Eucharist and ministry unanimously recommended that Lutheran ministerial orders and Masses be considered valid! Pope Benedict himself urged Rome to embrace the Augsburg Confession as a "Catholic document." The history of Lutheranism and Roman Catholicism is still being written. We don't know how the book will end. When you do respond please contact me so I can see what you wrote. Perhaps you may not realize it, but the first “Lutherans” were Adam and Eve, not Leo the Great! Why do I say this? Because Adam and Eve believed the promise from God, the Gospel, as mentioned in Genesis 3:15. They were saved, as are all men,by Grace through Faith ALONE. Those believers of all ages, both prior to Christ and after, were Justified exactly the same way as you or I are: by Grace through Faith alone. All those people, referred to as in Hebrews as the “Great cloud of witnesses” which constituted the TRUE ISRAEL of GOD, or as we know it as the HOLY CHRISTIAN CHURCH, constitute the CATHOLIC CHURCH. What today and in the 16th century or any era which referred to itself as the Roman Catholic Church,is not the CATHOLIC CHURCH. The true CATHOLIC CHURCH has always been hidden from the world, as Paul mentions in Colossians chapter 3,but when Christ comes again in glory it will be revealed for all to see. My problem with your previous statements revolved around your use of the term “Roman” to describe your faith. I find it confusing and subsequent posts seem to indicate that you believe there was a Roman Catholic Church throughout the initial 2000 years after Christ. That is not true. The only nation which existed for all ages in which God is pleased is that nation which has been repentant of their sins and received the faith in God’s promises, especially Messiah/Christ. Even within the Old Testament nation of Israel there was always a subset, referred by St Paul and Scripture as “remnant”, which retained faith in the promises of God and constituted the TRUE ISRAEL. The True Israel is the way the Scriptures describe the household of faith.It never was and never will be any specific denomination. Of course there was an early and medieval Western church from which Luther and the Reformers were members of. This church was that in which the faith was catholic, as described in the Creeds. There never was complete agreement over doctrines, as the letters of Paul point out. There were disagreements and misunderstandings in the apostolic age as well as in later periods. The Orthodox Church never did agree with their Roman counterparts. Of couse there was liturgy and practices within the early and medieval church which were gifts from God via His Word, and the Reformers merely wished to purge unscriptural portions of such doctrines and practices. But history shows that although the early and medieval church referred to itself as CATHOLIC, it was never what we today refer to as the Roman Catholic Church, which was officially defined at the Council of Trent. The modern RCC would like people to believe that it was and is the True Israel of God, but that is simply not the case. So you see, the question is whether your usage of the term “Roman” is appropriate in describing your faith. I maintain it is not only inappropriate, but also misleading. You would even be more scripturally correct if you used the term “Elect” in you faith-name. After all, before the creation of the world, before any nation such as Rome existed, God had determined that His Only Begotten Son would atone for the sins of the world and by Grace through faith alone He would gather His Elect to Himself. He is the vine, we are the branches. Without Him we can do nothing. He chose us- we didn’t choose us. I appreciated your input to the discussion. However, in your post you mentioned the fact that the pope and the RCC no longer considers Lutherans as heretics and recognizes their Baptisms, etc… This is one aspect of Roman Catholicism I find very distasteful. The RCC seems to have a condescending attitude towards other believers, always considering the RCC as the one true church and all others as “fallen away”. I agree with the Lutheran Reformers: Rome is the one who has fallen away and refuses repentance over their various heresies and false teachings, which they have mixed together with sound doctrines. The Lutheran Reformers went so far as to identify the pope and his minions as Anti-Christ. Read the short document "The Primacy and Power of the Papacy", which is included in the Book of Concord for further details. The RCC is an enigma - an ever evolving institution of confusing and inconsistent teachings. The question throughout all of history is how is a man saved? Is salvation by the Grace of God through faith for Christ's sake alone, or is it through other means, such as the RCC catechism states? Justification is still the main obstacle between the True Israel and all other sects. Apolonio here. Nice to "meet" you. I don’t think we've met- though I recall seeing you at the Rutland/White debate. Rich Pierce pointed you out to me as we were breaking down the PA system. Note that I link to your blog in my sidebar- it’s been there for quite a while. I have discussed these things elsewhere and I don't think I can do justice to comment on your post exhaustively or even comprehensively. I suggest you read Catholic theologians on these issues rather than Catholic apologists. Go read the discussions in Al Kimmel's blog since I believe they are fruitful. I haven’t read Kimmel’s blog, but I will check it out. My question would be, does this explanation cover the understanding of all those quotes from Gerry Matatics I posted? In other words, would those people who said very clearly that there is no salvation for anyone not united to the Catholic Church give me a similar explanation? Gerry Matatics would probably say no. He’d say your explanation is a novum, and a deviation from the “true” Catholic faith. As far as EENS, that's too easy. "Church" was never limited to the visible structure of the Church, even in medieval times. Aquinas, for example, speaks of the Church as the communion between God and His people. With regards to the heart of the Gospel. The heart of the Gospel is not sola fide nor is it the Catholic doctrine on justification. The heart of the Gospel is a Person, Jesus Christ--the life, death, and resurrection of Jesus Christ. We both know my comments were in regard to a “doctrine” and the understanding of that doctrine. Christ is the heart of every aspect of the Christian faith- this should go without saying. On the other hand, the gospel message is about “salvation”- and protestants and Catholics do differ on the content of that message. The heart of the Gospel message is that Christ’s righteousness becomes mine by faith alone. It is the only righteousness that is acceptable for salvation by a Holy God. It refers to the city and the bishop of said city. From the beginning of the New Testament Church there has been a bishop in Rome who has been one of the most important leaders of the church. At the time of Luther, the Roman bishop was largely in control of the whole western church. That is why it was a Roman church. And we are heirs of that Western, Roman, tradition. Thus I stand by the fact that the description Roman belongs to us. You stated your reason for adopting the name "Roman" in your faith-definition quite well. I was not ignorant of what you said as being true, but rather wanted to make you think about connotations of certain words. As you said, the bishop of Rome was historically influencial in the Western church. This is just the point: the fact that history testifies to horrible abuse by the bishop of this city, as he elevated himself over other bishops and eventually attempted to claim the title of "Supreme Bishop" or pope, was a black mark on history. I wanted to force you to think through your use of the word "Roman" as having largely negative connotations to most people who do not pledge themselves to obeying papa. As I remarked earlier, words have meaning and symbolism: "Rome" for Roman Catholicism; "Geneva" for Calvinism; "Canterbury" for Anglican; "Constantinople" for Eastern Orthodox, etc... Thus,in order to avoid confusion, I would pick another word other than "Roman". You have an historical point about us being Western in our heritage, but does that mean that I should select words which have largely negative connotations to the average Protestant and Lutheran? It is sad to say that Roman Catholicism has a monopoly on the word "Roman" in the minds of the vast majority of people. This square on the checker board is already occupied and aperson would be well advised to find another. That is, unless such a person is like you and I and will not yield his position! Thanks for the response. I didn't know you were at the Rutland/White debate. We could've chatted. And Rich was a nice guy. "In other words, would those people who said very clearly that there is no salvation for anyone not united to the Catholic Church give me a similar explanation?" That is why the distinction between material and formal heretic is neat. Materially, one can be a heretic but not formally so (maybe because of his invincible ignorance). As for heart of the Gospel, I guess I misunderstood you. "On the other hand, the gospel message is about “salvation”- and protestants and Catholics do differ on the content of that message. The heart of the Gospel message is that Christ’s righteousness becomes mine by faith alone." Again, I don't think you would disagree with that. Of course that doesn't mean we agree on the nature of justification. IM SORRY TO TELL YOU NO ROMAN CATHOLIC WHO REMAINS A ROMAN CATHOLIC GETS IT. TO SAY THAT TELLS ME, YOU DONT KNOW THE BIBLE OR YOU DONT KNOW ROMAN CATHOLICISM. YOU CANT BE IN A PLACE (IT IS NOT A CHURCH) THAT GOES AGAINST GODS WORDS BY ADDING WORKS TO THE GOSPEL AND GET IT SIR. LEARN FIRST THE WORD, THEN DO YOUR HOMEWORK AND STUDY THE ROMAN CATHOLIC CHURCH. IF YOU CAN DISCERN CORRECTLY, YOU WILL FIND NO ONE CAN REMAIN A ROMAN CATHOLIC AND BE SAVED. YOU CANT SERVE TWO MASTERS. THE LORD AND A CHURCH WHO SAYS, ITS OK TO GET TO THE FATHER, THRU MARY, COMMUNION , WATER BAPTISM, PURGATORY AND THE LIKE. AGAIN, DO YOUR HOMEWORK, BEFORE YOU CHOSE TO SPEAK SO FOOLISHLY.